PPT horizontal description of production losses stage 1 PowerPoint Templates-With these pre-designed process arrows you can visualize almost any type of concept, chronological process or steps of your strategies..-PPT horizontal description of production losses stage 1 PowerPoint Templates-Asset, Bank, Banking, Business, Care, Careful, Cash, Commerce, Concept, Crime, Criminal, Currency, Defend, Deposit, Economic, Economy, , Finance, , Financial, Frugal, Future, Goal, Hold, Hope, Identity, Invest, Investment, Keep, Lock, Lockdown, Loss, Market, Money, Optimism, Opulence, Opulent, Planning, Possibility, Precious, Prevention, Profit, Prosperity, Protect, Protection, Reserve, Robbery, Safe, Safety, Save, Saving, Secure, Security, Shelter, Speculate, Tax Fight for a cause with our Ppt Horizontal Description Of Production Losses Stage 1 PowerPoint Templates. Try us out and see what a difference our templates make. 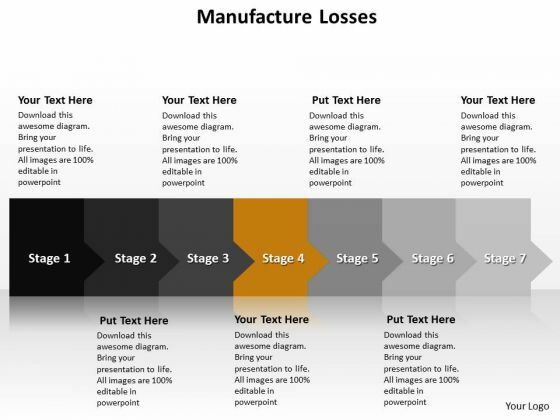 Achieve contemporary management style with our Ppt Horizontal Description Of Production Losses Stage 1 PowerPoint Templates. They will make you look good. PPT 3d horizontal illustration to prevent marketing losses eight steps PowerPoint Templates-This PowerPoint Diagram is best to illustrate business processes, business project steps, business development steps, stages of the process, stages of the plan, etc-PPT 3d horizontal illustration to prevent marketing losses eight steps PowerPoint Templates-Asset, Bank, Banking, Business, Care, Careful, Cash, Commerce, Concept, Crime, Criminal, Currency, Defend, Deposit, Economic, Economy, , Finance, , Financial, Frugal, Future, Goal, Hold, Hope, Identity, Invest, Investment, Keep, Lock, Lockdown, Loss, Market, Money, Optimism, Opulence, Opulent, Planning, Possibility, Precious, Prevention, Profit, Prosperity, Protect, Protection, Reserve, Robbery, Safe, Safety, Save, Saving, Secure, Security, Shelter, Speculate, Tax Dont muddle through your presentation. Be in control with our Ppt 3d Horizontal Illustration To Prevent Marketing Losses Eight Steps PowerPoint Templates. You will be at the top of your game. Announce your plans with much ado. Our Ppt 3d Horizontal Illustration To Prevent Marketing Losses Eight Steps PowerPoint Templates will not let the cheering fade. 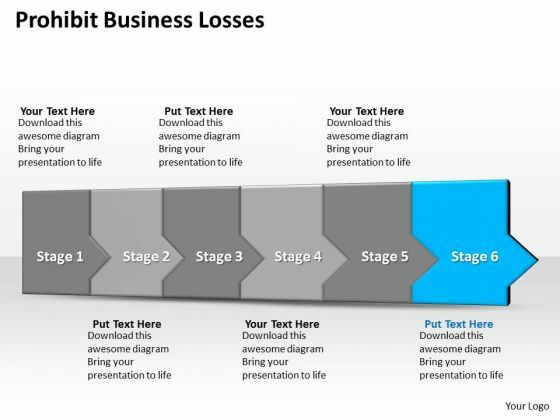 PPT sequential way to prevent business losses three steps PowerPoint Templates-Use this Arrow based PowerPoint Diagram to elaborate three interconnected issues which performs their actions in cycle. This diagram provides an overview of the interactions of different factors in a company.-PPT sequential way to prevent business losses three steps PowerPoint Templates-Asset, Bank, Banking, Business, Care, Careful, Cash, Commerce, Concept, Crime, Criminal, Currency, Defend, Deposit, Economic, Economy, , Finance, , Financial, Frugal, Future, Goal, Hold, Hope, Identity, Invest, Investment, Keep, Lock, Lockdown, Loss, Market, Money, Optimism, Opulence, Opulent, Planning, Possibility, Precious, Prevention, Profit, Prosperity, Protect, Protection, Reserve, Robbery, Safe, Safety, Save, Saving, Secure, Security, Shelter, Speculate, Tax Streamline your presentation with our Ppt Sequential Way To Prevent Business Losses Three Steps PowerPoint Templates. Download without worries with our money back guaranteee. Our Ppt Sequential Way To Prevent Business Losses Three Steps PowerPoint Templates have a far reaching effect. Your ideas will bring cheer to many. PPT 3d linear abstraction to prevent marketing losses six steps PowerPoint Templates-This diagram usually denotes Timeline process depicted as Linear arrows will be perfect for presentations on schedules, deadlines, milestones, annual reports, year planning, benchmarking, etc.-PPT 3d linear abstraction to prevent marketing losses six steps PowerPoint Templates-Asset, Bank, Banking, Business, Care, Careful, Cash, Commerce, Concept, Crime, Criminal, Currency, Defend, Deposit, Economic, Economy, , Finance, , Financial, Frugal, Future, Goal, Hold, Hope, Identity, Invest, Investment, Keep, Lock, Lockdown, Loss, Market, Money, Optimism, Opulence, Opulent, Planning, Possibility, Precious, Prevention, Profit, Prosperity, Protect, Protection, Reserve, Robbery, Safe, Safety, Save, Saving, Secure, Security, Shelter, Speculate, Tax Audit your thoughts with our Ppt 3d Linear Abstraction To Prevent Marketing Losses Six Steps PowerPoint Templates. They will authenticate their excellence. Factor all aspects into the equation. Our Ppt 3d Linear Abstraction To Prevent Marketing Losses Six Steps PowerPoint Templates will equate their values. PPT 3d straight description to prohibt business losses five steps PowerPoint Templates-This diagram usually denotes Timeline process depicted as Linear arrows will be perfect for presentations on schedules, deadlines, milestones, annual reports, year planning, benchmarking, etc.-PPT 3d straight description to prohibt business losses five steps PowerPoint Templates-Asset, Bank, Banking, Business, Care, Careful, Cash, Commerce, Concept, Crime, Criminal, Currency, Defend, Deposit, Economic, Economy, , Finance, , Financial, Frugal, Future, Goal, Hold, Hope, Identity, Invest, Investment, Keep, Lock, Lockdown, Loss, Market, Money, Optimism, Opulence, Opulent, Planning, Possibility, Precious, Prevention, Profit, Prosperity, Protect, Protection, Reserve, Robbery, Safe, Safety, Save, Saving, Secure, Security, Shelter, Speculate, Tax Ease out the complications with our Ppt 3d Straight Description To Prohibt Business Losses Five Steps PowerPoint Templates. They help straighten things out. 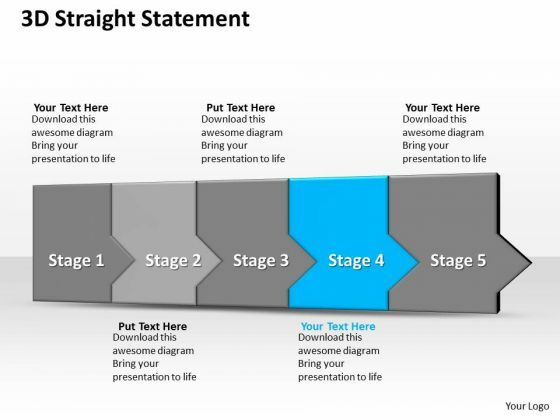 Our Ppt 3d Straight Description To Prohibt Business Losses Five Steps PowerPoint Templates give expression to your drive. They emit the essence of your determination. 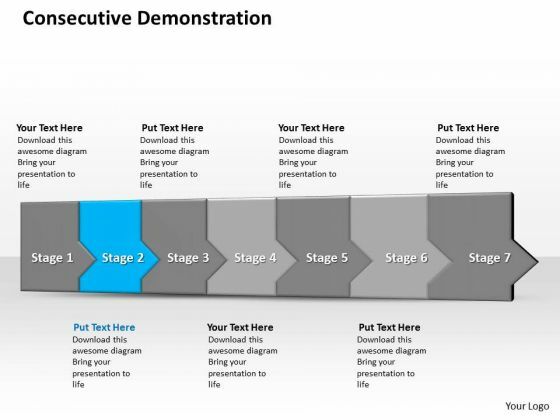 PPT 3d consecutive demonstration to avoid banking losses seven steps PowerPoint Templates-The theme of this PowerPoint template is linear arrows. Use them to illustrate a stepwise process or a phase structure.-PPT 3d consecutive demonstration to avoid banking losses seven steps PowerPoint Templates-Asset, Bank, Banking, Business, Care, Careful, Cash, Commerce, Concept, Crime, Criminal, Currency, Defend, Deposit, Economic, Economy, , Finance, , Financial, Frugal, Future, Goal, Hold, Hope, Identity, Invest, Investment, Keep, Lock, Lockdown, Loss, Market, Money, Optimism, Opulence, Opulent, Planning, Possibility, Precious, Prevention, Profit, Prosperity, Protect, Protection, Reserve, Robbery, Safe, Safety, Save, Saving, Secure, Security, Shelter, Speculate, Tax Engineer growth with our Ppt 3d Consecutive Demonstration To Avoid Banking Losses Seven Steps PowerPoint Templates. Download without worries with our money back guaranteee. 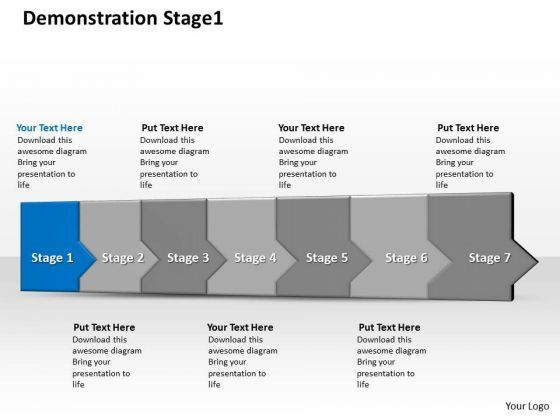 Our Ppt 3d Consecutive Demonstration To Avoid Banking Losses Seven Steps PowerPoint Templates are exhaustively detailed. They pay close attention to each and every aspect. PPT 3d consecutive demonstration to block banking losses seven steps PowerPoint Templates-The theme of this PowerPoint template is linear arrows. Use them to illustrate a stepwise process or a phase structure.-PPT 3d consecutive demonstration to block banking losses seven steps PowerPoint Templates-Asset, Bank, Banking, Business, Care, Careful, Cash, Commerce, Concept, Crime, Criminal, Currency, Defend, Deposit, Economic, Economy, , Finance, , Financial, Frugal, Future, Goal, Hold, Hope, Identity, Invest, Investment, Keep, Lock, Lockdown, Loss, Market, Money, Optimism, Opulence, Opulent, Planning, Possibility, Precious, Prevention, Profit, Prosperity, Protect, Protection, Reserve, Robbery, Safe, Safety, Save, Saving, Secure, Security, Shelter, Speculate, Tax Give the event an attractive look. Spread the colour around with our Ppt 3d Consecutive Demonstration To Block Banking Losses Seven Steps PowerPoint Templates. Your thoughts demand approval. Win the favour of the audience with our Ppt 3d Consecutive Demonstration To Block Banking Losses Seven Steps PowerPoint Templates. PPT 3d consecutive demonstration to check banking losses seven steps PowerPoint Templates-The theme of this PowerPoint template is linear arrows. Use them to illustrate a stepwise process or a phase structure.-PPT 3d consecutive demonstration to check banking losses seven steps PowerPoint Templates-Asset, Bank, Banking, Business, Care, Careful, Cash, Commerce, Concept, Crime, Criminal, Currency, Defend, Deposit, Economic, Economy, , Finance, , Financial, Frugal, Future, Goal, Hold, Hope, Identity, Invest, Investment, Keep, Lock, Lockdown, Loss, Market, Money, Optimism, Opulence, Opulent, Planning, Possibility, Precious, Prevention, Profit, Prosperity, Protect, Protection, Reserve, Robbery, Safe, Safety, Save, Saving, Secure, Security, Shelter, Speculate, Tax Unify your team with our Ppt 3d Consecutive Demonstration To Check Banking Losses Seven Steps PowerPoint Templates. Download without worries with our money back guaranteee. 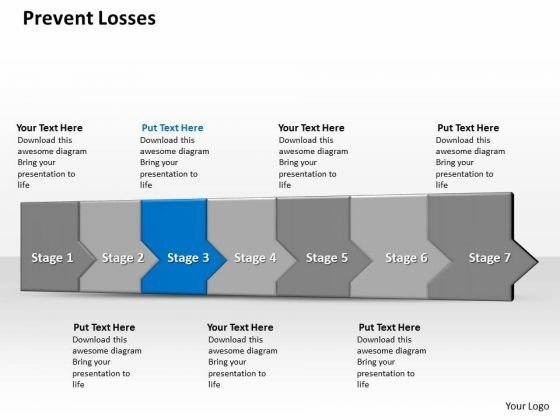 Upgrade your presentation with our Ppt 3d Consecutive Demonstration To Check Banking Losses Seven Steps PowerPoint Templates. Download without worries with our money back guaranteee. 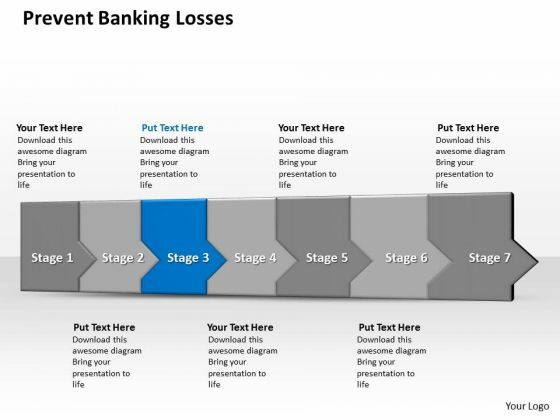 PPT 3d consecutive demonstration to freeze banking losses seven steps PowerPoint Templates-The theme of this PowerPoint template is linear arrows. Use them to illustrate a stepwise process or a phase structure.-PPT 3d consecutive demonstration to freeze banking losses seven steps PowerPoint Templates-Asset, Bank, Banking, Business, Care, Careful, Cash, Commerce, Concept, Crime, Criminal, Currency, Defend, Deposit, Economic, Economy, , Finance, , Financial, Frugal, Future, Goal, Hold, Hope, Identity, Invest, Investment, Keep, Lock, Lockdown, Loss, Market, Money, Optimism, Opulence, Opulent, Planning, Possibility, Precious, Prevention, Profit, Prosperity, Protect, Protection, Reserve, Robbery, Safe, Safety, Save, Saving, Secure, Security, Shelter, Speculate, Tax Our Ppt 3d Consecutive Demonstration To Freeze Banking Losses Seven Steps PowerPoint Templates will cause a celebration. Put your audience in a festive mood. Excite your audience with our Ppt 3d Consecutive Demonstration To Freeze Banking Losses Seven Steps PowerPoint Templates. You will come out on top. PPT 3d consecutive demonstration to prevent banking losses seven steps PowerPoint Templates-This PowerPoint Diagram is best to illustrate business processes, business project steps, business development steps, stages of the process, stages of the plan, etc-PPT 3d consecutive demonstration to prevent banking losses seven steps PowerPoint Templates-Asset, Bank, Banking, Business, Care, Careful, Cash, Commerce, Concept, Crime, Criminal, Currency, Defend, Deposit, Economic, Economy, , Finance, , Financial, Frugal, Future, Goal, Hold, Hope, Identity, Invest, Investment, Keep, Lock, Lockdown, Loss, Market, Money, Optimism, Opulence, Opulent, Planning, Possibility, Precious, Prevention, Profit, Prosperity, Protect, Protection, Reserve, Robbery, Safe, Safety, Save, Saving, Secure, Security, Shelter, Speculate, Tax Put out some feelers on our Ppt 3d Consecutive Demonstration To Prevent Banking Losses Seven Steps PowerPoint Templates. They will extract encouraging responses. 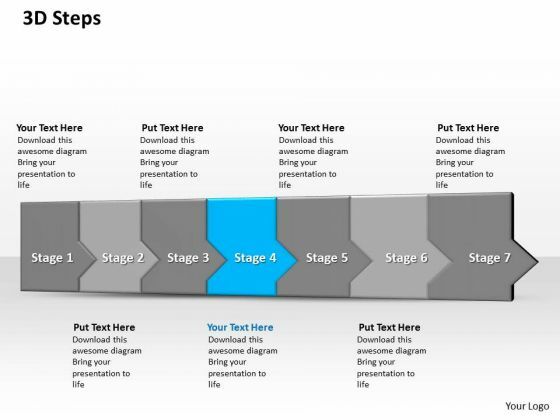 Get noted for your awesome slides with our Ppt 3d Consecutive Demonstration To Prevent Banking Losses Seven Steps PowerPoint Templates. You'll always stay ahead of the game. PPT 3d consecutive demonstration to restrain banking losses seven steps PowerPoint Templates-The theme of this PowerPoint template is linear arrows. Use them to illustrate a stepwise process or a phase structure.-PPT 3d consecutive demonstration to restrain banking losses seven steps PowerPoint Templates-Asset, Bank, Banking, Business, Care, Careful, Cash, Commerce, Concept, Crime, Criminal, Currency, Defend, Deposit, Economic, Economy, , Finance, , Financial, Frugal, Future, Goal, Hold, Hope, Identity, Invest, Investment, Keep, Lock, Lockdown, Loss, Market, Money, Optimism, Opulence, Opulent, Planning, Possibility, Precious, Prevention, Profit, Prosperity, Protect, Protection, Reserve, Robbery, Safe, Safety, Save, Saving, Secure, Security, Shelter, Speculate, Tax Our Ppt 3d Consecutive Demonstration To Restrain Banking Losses Seven Steps PowerPoint Templates understand what it all entails. That is why they work harder for you. Get on the boat with our Ppt 3d Consecutive Demonstration To Restrain Banking Losses Seven Steps PowerPoint Templates. Set sail for the port of success. 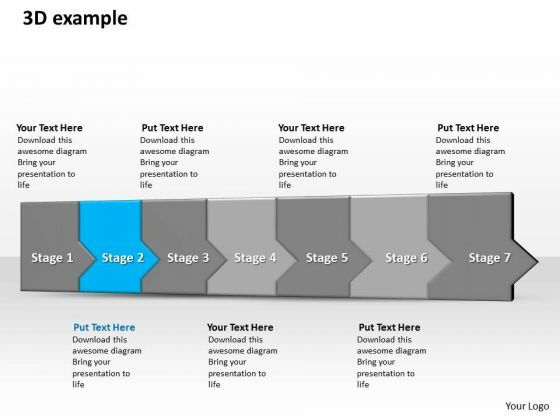 PPT 3d consecutive demonstration to restrict banking losses seven steps PowerPoint Templates-The theme of this PowerPoint template is linear arrows. Use them to illustrate a stepwise process or a phase structure.-PPT 3d consecutive demonstration to restrict banking losses seven steps PowerPoint Templates-Asset, Bank, Banking, Business, Care, Careful, Cash, Commerce, Concept, Crime, Criminal, Currency, Defend, Deposit, Economic, Economy, , Finance, , Financial, Frugal, Future, Goal, Hold, Hope, Identity, Invest, Investment, Keep, Lock, Lockdown, Loss, Market, Money, Optimism, Opulence, Opulent, Planning, Possibility, Precious, Prevention, Profit, Prosperity, Protect, Protection, Reserve, Robbery, Safe, Safety, Save, Saving, Secure, Security, Shelter, Speculate, Tax Eliminate contradictions with our Ppt 3d Consecutive Demonstration To Restrict Banking Losses Seven Steps PowerPoint Templates. Dilemmas will begin to disappear. 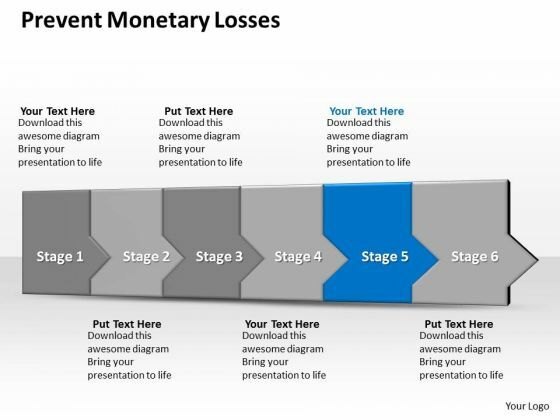 Inject life into your presentations with our Ppt 3d Consecutive Demonstration To Restrict Banking Losses Seven Steps PowerPoint Templates. Make sure your presentation gets the attention it deserves. PPT 3d consecutive demonstration to stop banking losses seven steps PowerPoint Templates-The theme of this PowerPoint template is linear arrows. Use them to illustrate a stepwise process or a phase structure.-PPT 3d consecutive demonstration to stop banking losses seven steps PowerPoint Templates-Asset, Bank, Banking, Business, Care, Careful, Cash, Commerce, Concept, Crime, Criminal, Currency, Defend, Deposit, Economic, Economy, , Finance, , Financial, Frugal, Future, Goal, Hold, Hope, Identity, Invest, Investment, Keep, Lock, Lockdown, Loss, Market, Money, Optimism, Opulence, Opulent, Planning, Possibility, Precious, Prevention, Profit, Prosperity, Protect, Protection, Reserve, Robbery, Safe, Safety, Save, Saving, Secure, Security, Shelter, Speculate, Tax Draw attention to your expertise. 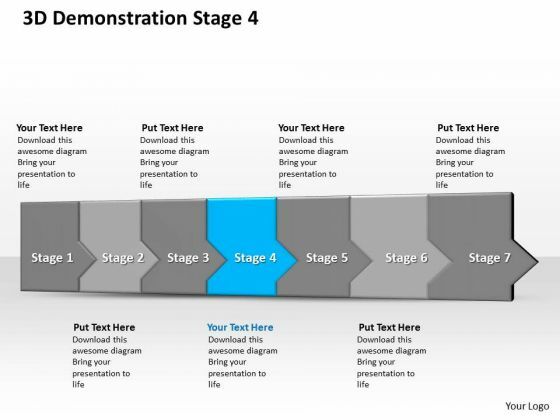 Our Ppt 3d Consecutive Demonstration To Stop Banking Losses Seven Steps PowerPoint Templates are the best bet to do so. There is nothing cryptic about our Ppt 3d Consecutive Demonstration To Stop Banking Losses Seven Steps PowerPoint Templates. They are quite easy to decipher. PPT 3d horizontal illustration to limit marketing losses eight steps PowerPoint Templates-This PowerPoint Diagram is best to illustrate business processes, business project steps, business development steps, stages of the process, stages of the plan, etc-PPT 3d horizontal illustration to limit marketing losses eight steps PowerPoint Templates-Asset, Bank, Banking, Business, Care, Careful, Cash, Commerce, Concept, Crime, Criminal, Currency, Defend, Deposit, Economic, Economy, , Finance, , Financial, Frugal, Future, Goal, Hold, Hope, Identity, Invest, Investment, Keep, Lock, Lockdown, Loss, Market, Money, Optimism, Opulence, Opulent, Planning, Possibility, Precious, Prevention, Profit, Prosperity, Protect, Protection, Reserve, Robbery, Safe, Safety, Save, Saving, Secure, Security, Shelter, Speculate, Tax Our Ppt 3d Horizontal Illustration To Limit Marketing Losses Eight Steps PowerPoint Templates adhere to the ethics. They comply with all the conditions. 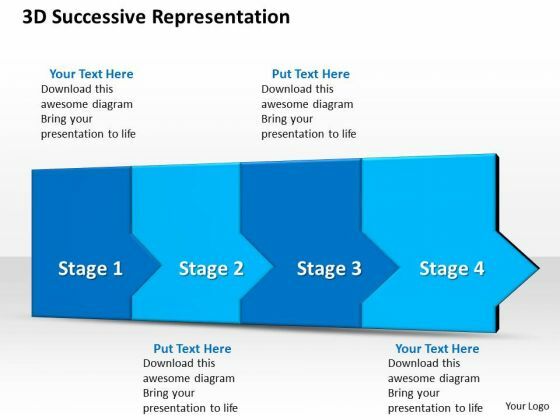 Acquire success with our Ppt 3d Horizontal Illustration To Limit Marketing Losses Eight Steps PowerPoint Templates. Download without worries with our money back guaranteee. PPT 3d sequential description to prevent business losses three steps PowerPoint Templates-This diagram usually denotes Timeline process depicted as Linear arrows will be perfect for presentations on schedules, deadlines, milestones, annual reports, year planning, benchmarking, etc.-PPT 3d sequential description to prevent business losses three steps PowerPoint Templates-Asset, Bank, Banking, Business, Care, Careful, Cash, Commerce, Concept, Crime, Criminal, Currency, Defend, Deposit, Economic, Economy, , Finance, , Financial, Frugal, Future, Goal, Hold, Hope, Identity, Invest, Investment, Keep, Lock, Lockdown, Loss, Market, Money, Optimism, Opulence, Opulent, Planning, Possibility, Precious, Prevention, Profit, Prosperity, Protect, Protection, Reserve, Robbery, Safe, Safety, Save, Saving, Secure, Security, Shelter, Speculate, Tax Create a blueprint for your factory. Arrive at an apt design with our Ppt 3d Sequential Description To Prevent Business Losses Three Steps PowerPoint Templates. 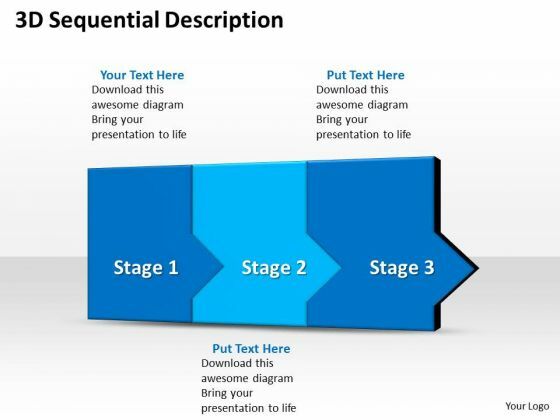 Excite the connoisseurs with our Ppt 3d Sequential Description To Prevent Business Losses Three Steps PowerPoint Templates. Your thoughts will get a befitting display. PPT 3d successive representation to prevent finance losses four steps PowerPoint Templates-This diagram usually denotes Timeline process depicted as Linear arrows will be perfect for presentations on schedules, deadlines, milestones, annual reports, year planning, benchmarking, etc.-PPT 3d successive representation to prevent finance losses four steps PowerPoint Templates-Asset, Bank, Banking, Business, Care, Careful, Cash, Commerce, Concept, Crime, Criminal, Currency, Defend, Deposit, Economic, Economy, , Finance, , Financial, Frugal, Future, Goal, Hold, Hope, Identity, Invest, Investment, Keep, Lock, Lockdown, Loss, Market, Money, Optimism, Opulence, Opulent, Planning, Possibility, Precious, Prevention, Profit, Prosperity, Protect, Protection, Reserve, Robbery, Safe, Safety, Save, Saving, Secure, Security, Shelter, Speculate, Tax Fill the gaps with our Ppt 3d Successive Representation To Prevent Finance Losses Four Steps PowerPoint Templates. Try us out and see what a difference our templates make. Our Ppt 3d Successive Representation To Prevent Finance Losses Four Steps PowerPoint Templates are able catalysts. They will churn your thoughts and extract good plans. PPT consecutive way to prevent marketing losses six stages PowerPoint Templates-This PowerPoint layout Shows arrows all pointing to the right, Can be used for representing Basic Process .-PPT consecutive way to prevent marketing losses six stages PowerPoint Templates-Asset, Bank, Banking, Business, Care, Careful, Cash, Commerce, Concept, Crime, Criminal, Currency, Defend, Deposit, Economic, Economy, , Finance, , Financial, Frugal, Future, Goal, Hold, Hope, Identity, Invest, Investment, Keep, Lock, Lockdown, Loss, Market, Money, Optimism, Opulence, Opulent, Planning, Possibility, Precious, Prevention, Profit, Prosperity, Protect, Protection, Reserve, Robbery, Safe, Safety, Save, Saving, Secure, Security, Shelter, Speculate, Tax Create a business with our Ppt Consecutive Way To Prevent Marketing Losses Six Stages PowerPoint Templates. Just download, type and present. Earn the credits you do deserve. Answer the critics with our Ppt Consecutive Way To Prevent Marketing Losses Six Stages PowerPoint Templates. PPT consecutive way to prevent production losses stage 4 PowerPoint Templates-This PowerPoint layout Shows arrows all pointing to the right, Can be used for representing flow of Process .-PPT consecutive way to prevent production losses stage 4 PowerPoint Templates-Asset, Bank, Banking, Business, Care, Careful, Cash, Commerce, Concept, Crime, Criminal, Currency, Defend, Deposit, Economic, Economy, , Finance, , Financial, Frugal, Future, Goal, Hold, Hope, Identity, Invest, Investment, Keep, Lock, Lockdown, Loss, Market, Money, Optimism, Opulence, Opulent, Planning, Possibility, Precious, Prevention, Profit, Prosperity, Protect, Protection, Reserve, Robbery, Safe, Safety, Save, Saving, Secure, Security, Shelter, Speculate, Tax Be an outperforming global competititor with our Ppt Consecutive Way To Prevent Production Losses Stage 4 PowerPoint Templates. They will make you look good. Our Ppt Consecutive Way To Prevent Production Losses Stage 4 PowerPoint Templates pick up on many a fable. They contain the wisdom of business lore. PPT consistent way to anticipate marketing losses six steps PowerPoint Templates-This PowerPoint layout Shows arrows all pointing to the right, Can be used for representing Basic Process .-PPT consistent way to anticipate marketing losses six steps PowerPoint Templates-Asset, Bank, Banking, Business, Care, Careful, Cash, Commerce, Concept, Crime, Criminal, Currency, Defend, Deposit, Economic, Economy, , Finance, , Financial, Frugal, Future, Goal, Hold, Hope, Identity, Invest, Investment, Keep, Lock, Lockdown, Loss, Market, Money, Optimism, Opulence, Opulent, Planning, Possibility, Precious, Prevention, Profit, Prosperity, Protect, Protection, Reserve, Robbery, Safe, Safety, Save, Saving, Secure, Security, Shelter, Speculate, Tax Give an exhaustive account with our Ppt Consistent Way To Anticipate Marketing Losses Six Steps PowerPoint Templates. Your thoughts will illuminate every little detail. Arrive at your desired destination. 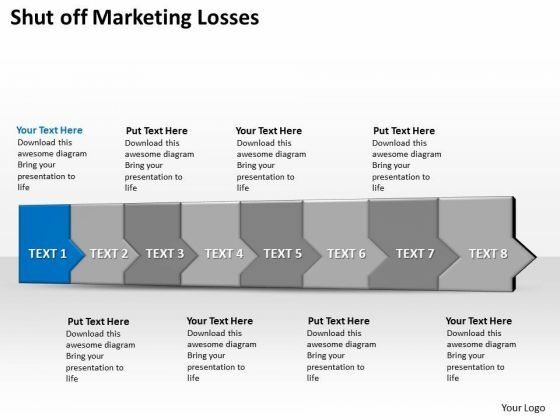 Complete the distance with our Ppt Consistent Way To Anticipate Marketing Losses Six Steps PowerPoint Templates. 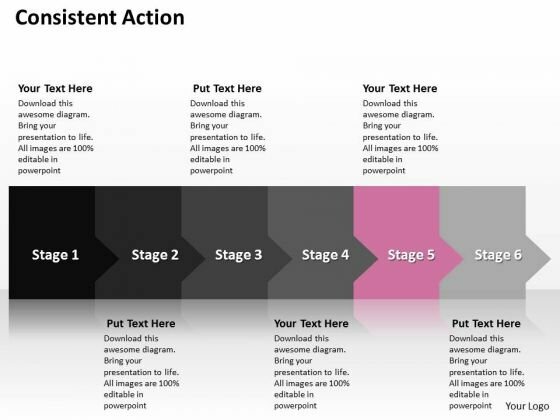 PPT consistent way to avoid production losses stage 5 PowerPoint Templates-With these pre-designed process arrows you can visualize almost any type of concept, chronological process or steps of your strategies..-PPT consistent way to avoid production losses stage 5 PowerPoint Templates-Asset, Bank, Banking, Business, Care, Careful, Cash, Commerce, Concept, Crime, Criminal, Currency, Defend, Deposit, Economic, Economy, , Finance, , Financial, Frugal, Future, Goal, Hold, Hope, Identity, Invest, Investment, Keep, Lock, Lockdown, Loss, Market, Money, Optimism, Opulence, Opulent, Planning, Possibility, Precious, Prevention, Profit, Prosperity, Protect, Protection, Reserve, Robbery, Safe, Safety, Save, Saving, Secure, Security, Shelter, Speculate, Tax Our Ppt Consistent Way To Avoid Production Losses Stage 5 PowerPoint Templates build your assets. Give your thoughts additional ability. Become a high-caliber team member with our Ppt Consistent Way To Avoid Production Losses Stage 5 PowerPoint Templates. They will make you look good. PPT consistent way to block production losses six steps PowerPoint Templates-With these pre-designed process arrows you can visualize almost any type of concept, chronological process or steps of your strategies..-PPT consistent way to block production losses six steps PowerPoint Templates-Asset, Bank, Banking, Business, Care, Careful, Cash, Commerce, Concept, Crime, Criminal, Currency, Defend, Deposit, Economic, Economy, , Finance, , Financial, Frugal, Future, Goal, Hold, Hope, Identity, Invest, Investment, Keep, Lock, Lockdown, Loss, Market, Money, Optimism, Opulence, Opulent, Planning, Possibility, Precious, Prevention, Profit, Prosperity, Protect, Protection, Reserve, Robbery, Safe, Safety, Save, Saving, Secure, Security, Shelter, Speculate, Tax Interpret plans with our Ppt Consistent Way To Block Production Losses Six Steps PowerPoint Templates. Download without worries with our money back guaranteee. Balance conflicting demands with our Ppt Consistent Way To Block Production Losses Six Steps PowerPoint Templates. Your thoughts will arrive at the best conclusion. 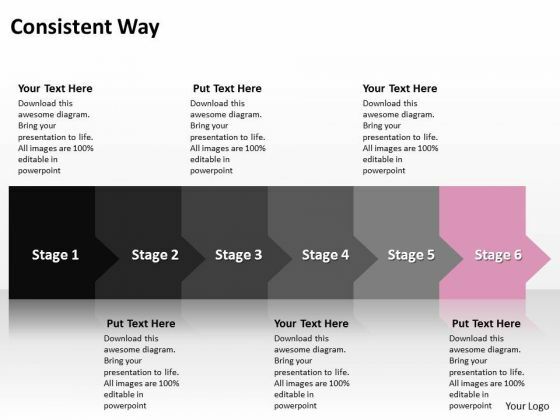 PPT consistent way to limit social presentation losses six steps PowerPoint Templates-With these pre-designed process arrows you can visualize almost any type of concept, chronological process or steps of your strategies..-PPT consistent way to limit social presentation losses six steps PowerPoint Templates-Asset, Bank, Banking, Business, Care, Careful, Cash, Commerce, Concept, Crime, Criminal, Currency, Defend, Deposit, Economic, Economy, , Finance, , Financial, Frugal, Future, Goal, Hold, Hope, Identity, Invest, Investment, Keep, Lock, Lockdown, Loss, Market, Money, Optimism, Opulence, Opulent, Planning, Possibility, Precious, Prevention, Profit, Prosperity, Protect, Protection, Reserve, Robbery, Safe, Safety, Save, Saving, Secure, Security, Shelter, Speculate, Tax Draw up the contours of your plan. 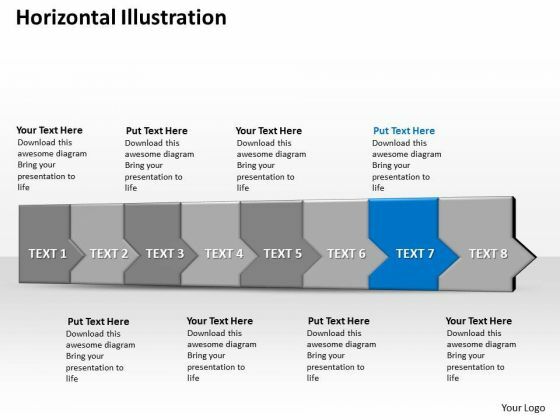 Outline your ideas with our Ppt Consistent Way To Limit Social Presentation Losses Six Steps PowerPoint Templates. 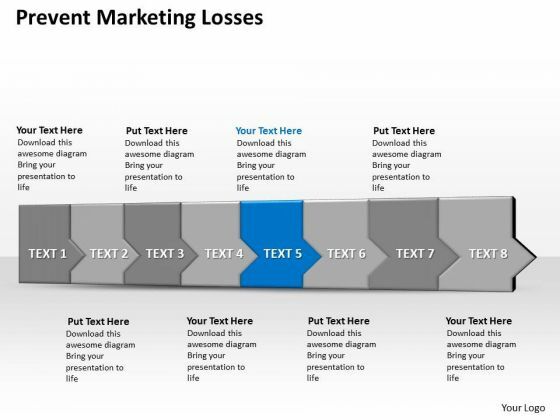 Attract the creme-de-la-creme with our Ppt Consistent Way To Limit Social Presentation Losses Six Steps PowerPoint Templates. Give the elite an exclusive experience. PPT continual description of manufacture losses seven phase diagram PowerPoint Templates-With these pre-designed process arrows you can visualize almost any type of concept, chronological process or steps of your strategies..-PPT continual description of manufacture losses seven phase diagram PowerPoint Templates-Asset, Bank, Banking, Business, Care, Careful, Cash, Commerce, Concept, Crime, Criminal, Currency, Defend, Deposit, Economic, Economy, , Finance, , Financial, Frugal, Future, Goal, Hold, Hope, Identity, Invest, Investment, Keep, Lock, Lockdown, Loss, Market, Money, Optimism, Opulence, Opulent, Planning, Possibility, Precious, Prevention, Profit, Prosperity, Protect, Protection, Reserve, Robbery, Safe, Safety, Save, Saving, Secure, Security, Shelter, Speculate, Tax Imagine your audience applauding with our Ppt Continual Description Of Manufacture Losses Seven Phase Diagram PowerPoint Templates. Make sure your presentation gets the attention it deserves. Our Ppt Continual Description Of Manufacture Losses Seven Phase Diagram PowerPoint Templates encourage a creative environment. Allow diverse ideas to gain acceptance. 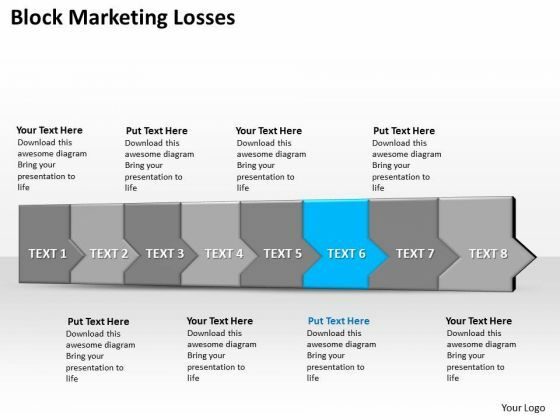 PPT continuous way to prevent marketing losses six powerpoint slide numbers Templates-With these pre-designed process arrows you can visualize almost any type of concept, chronological process or steps of your strategies..-PPT continuous way to prevent marketing losses six powerpoint slide numbers Templates-Asset, Bank, Banking, Business, Care, Careful, Cash, Commerce, Concept, Crime, Criminal, Currency, Defend, Deposit, Economic, Economy, , Finance, , Financial, Frugal, Future, Goal, Hold, Hope, Identity, Invest, Investment, Keep, Lock, Lockdown, Loss, Market, Money, Optimism, Opulence, Opulent, Planning, Possibility, Precious, Prevention, Profit, Prosperity, Protect, Protection, Reserve, Robbery, Safe, Safety, Save, Saving, Secure, Security, Shelter, Speculate, Tax Clear away doubts with our Ppt Continuous Way To Prevent Marketing Losses Six PowerPoint Slide Numbers Templates. You will come out on top. This may prove your fateful day. 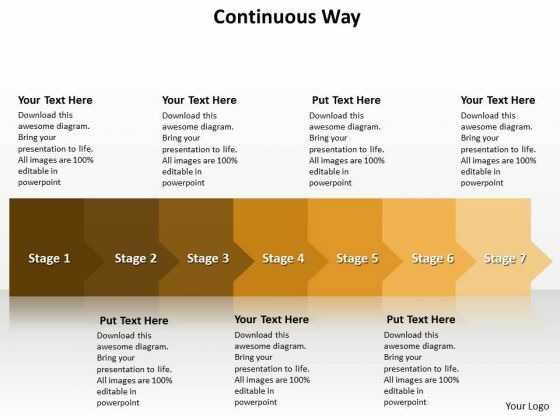 Change the course of your days with our Ppt Continuous Way To Prevent Marketing Losses Six PowerPoint Slide Numbers Templates. PPT demonstrative way to block production losses stage 6 PowerPoint Templates-With these pre-designed process arrows you can visualize almost any type of concept, chronological process or steps of your strategies..-PPT demonstrative way to block production losses stage 6 PowerPoint Templates-Asset, Bank, Banking, Business, Care, Careful, Cash, Commerce, Concept, Crime, Criminal, Currency, Defend, Deposit, Economic, Economy, , Finance, , Financial, Frugal, Future, Goal, Hold, Hope, Identity, Invest, Investment, Keep, Lock, Lockdown, Loss, Market, Money, Optimism, Opulence, Opulent, Planning, Possibility, Precious, Prevention, Profit, Prosperity, Protect, Protection, Reserve, Robbery, Safe, Safety, Save, Saving, Secure, Security, Shelter, Speculate, Tax Bid adieu to difficulty. 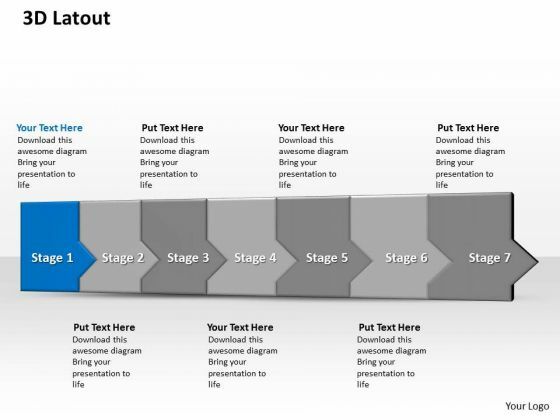 Our Ppt Demonstrative Way To Block Production Losses Stage 6 PowerPoint Templates ensure you fare well. Get your team to fall in line. 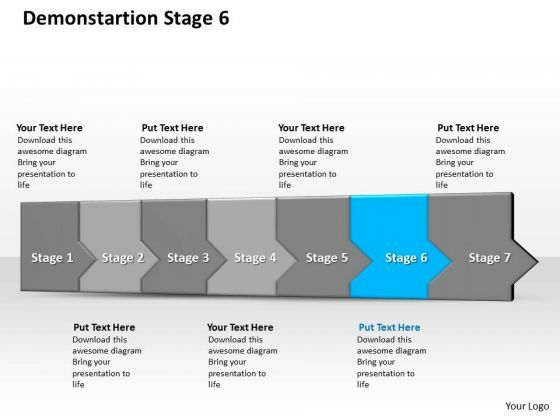 Command their attention with our Ppt Demonstrative Way To Block Production Losses Stage 6 PowerPoint Templates. PPT horizontal demonstration of production losses stage 3 PowerPoint Templates-With these pre-designed process arrows you can visualize almost any type of concept, chronological process or steps of your strategies..-PPT horizontal demonstration of production losses stage 3 PowerPoint Templates-Asset, Bank, Banking, Business, Care, Careful, Cash, Commerce, Concept, Crime, Criminal, Currency, Defend, Deposit, Economic, Economy, , Finance, , Financial, Frugal, Future, Goal, Hold, Hope, Identity, Invest, Investment, Keep, Lock, Lockdown, Loss, Market, Money, Optimism, Opulence, Opulent, Planning, Possibility, Precious, Prevention, Profit, Prosperity, Protect, Protection, Reserve, Robbery, Safe, Safety, Save, Saving, Secure, Security, Shelter, Speculate, Tax With our Ppt Horizontal Demonstration Of Production Losses Stage 3 PowerPoint Templates you will feel up to it. Derive the confidence to go for it. 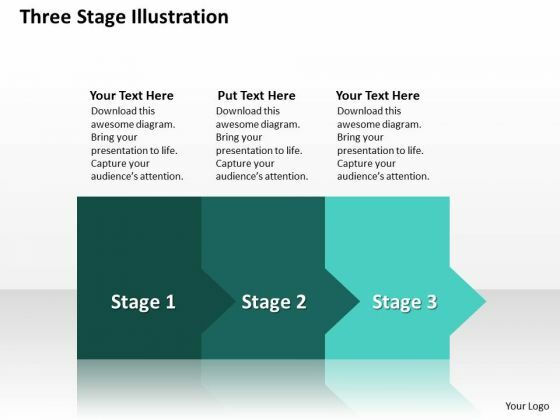 Change the face of your environment with our Ppt Horizontal Demonstration Of Production Losses Stage 3 PowerPoint Templates. Bring in exciting changes with your ideas. PPT linear way to anticipate production losses stage 5 PowerPoint Templates-With these pre-designed process arrows you can visualize almost any type of concept, chronological process or steps of your strategies..-PPT linear way to anticipate production losses stage 5 PowerPoint Templates-Asset, Bank, Banking, Business, Care, Careful, Cash, Commerce, Concept, Crime, Criminal, Currency, Defend, Deposit, Economic, Economy, , Finance, , Financial, Frugal, Future, Goal, Hold, Hope, Identity, Invest, Investment, Keep, Lock, Lockdown, Loss, Market, Money, Optimism, Opulence, Opulent, Planning, Possibility, Precious, Prevention, Profit, Prosperity, Protect, Protection, Reserve, Robbery, Safe, Safety, Save, Saving, Secure, Security, Shelter, Speculate, Tax Our Ppt Linear Way To Anticipate Production Losses Stage 5 PowerPoint Templates are really enterprising. They dig out ways to convey your ideas. Appear like a genius with our Ppt Linear Way To Anticipate Production Losses Stage 5 PowerPoint Templates. You will come out on top. PPT sequential description of production losses stage 2 PowerPoint Templates-With these pre-designed process arrows you can visualize almost any type of concept, chronological process or steps of your strategies..-PPT sequential description of production losses stage 2 PowerPoint Templates-Asset, Bank, Banking, Business, Care, Careful, Cash, Commerce, Concept, Crime, Criminal, Currency, Defend, Deposit, Economic, Economy, , Finance, , Financial, Frugal, Future, Goal, Hold, Hope, Identity, Invest, Investment, Keep, Lock, Lockdown, Loss, Market, Money, Optimism, Opulence, Opulent, Planning, Possibility, Precious, Prevention, Profit, Prosperity, Protect, Protection, Reserve, Robbery, Safe, Safety, Save, Saving, Secure, Security, Shelter, Speculate, Tax Our Ppt Sequential Description Of Production Losses Stage 2 PowerPoint Templates are arguably exceptional. Your ideas will be hard to argue against. 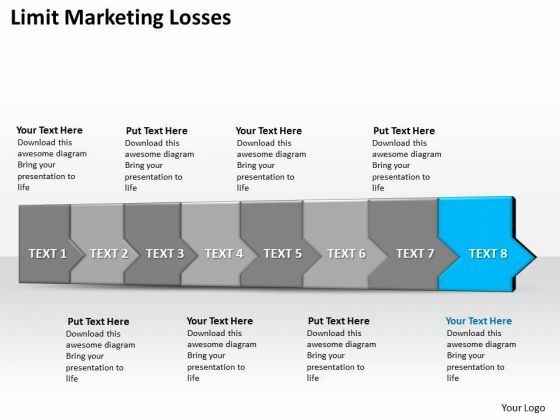 Our Ppt Sequential Description Of Production Losses Stage 2 PowerPoint Templates are generous to an excess. They will give their all most willingly. PPT sequential way to avoid banking losses six steps working with slide numbers PowerPoint Templates-With these pre-designed process arrows you can visualize almost any type of concept, chronological process or steps of your strategies..-PPT sequential way to avoid banking losses six steps working with slide numbers PowerPoint Templates-Asset, Bank, Banking, Business, Care, Careful, Cash, Commerce, Concept, Crime, Criminal, Currency, Defend, Deposit, Economic, Economy, , Finance, , Financial, Frugal, Future, Goal, Hold, Hope, Identity, Invest, Investment, Keep, Lock, Lockdown, Loss, Market, Money, Optimism, Opulence, Opulent, Planning, Possibility, Precious, Prevention, Profit, Prosperity, Protect, Protection, Reserve, Robbery, Safe, Safety, Save, Saving, Secure, Security, Shelter, Speculate, Tax Develop their enthusiasm to explore new avenues. Activate their curiosity with our Ppt Sequential Way To Avoid Banking Losses Six Steps Working With Slide Numbers PowerPoint Templates. 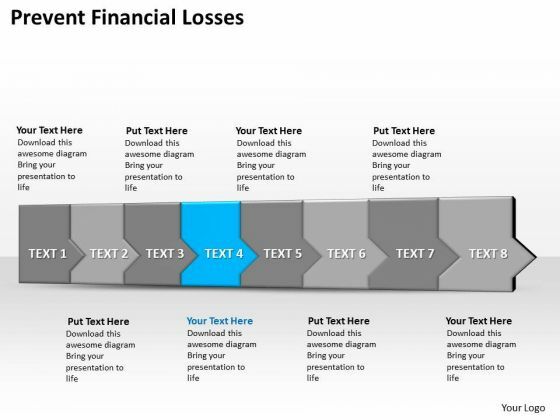 Get the action going for you with our Ppt Sequential Way To Avoid Banking Losses Six Steps Working With Slide Numbers PowerPoint Templates. Execute your plans to perfection. PPT successive way to prevent business losses six steps PowerPoint Templates-With these pre-designed process arrows you can visualize almost any type of concept, chronological process or steps of your strategies..-PPT successive way to prevent business losses six steps PowerPoint Templates-Asset, Bank, Banking, Business, Care, Careful, Cash, Commerce, Concept, Crime, Criminal, Currency, Defend, Deposit, Economic, Economy, , Finance, , Financial, Frugal, Future, Goal, Hold, Hope, Identity, Invest, Investment, Keep, Lock, Lockdown, Loss, Market, Money, Optimism, Opulence, Opulent, Planning, Possibility, Precious, Prevention, Profit, Prosperity, Protect, Protection, Reserve, Robbery, Safe, Safety, Save, Saving, Secure, Security, Shelter, Speculate, Tax Get decisions in your favour. Our Ppt Successive Way To Prevent Business Losses Six Steps PowerPoint Templates ensure endorsement. Frame an argument with our Ppt Successive Way To Prevent Business Losses Six Steps PowerPoint Templates. Try us out and see what a difference our templates make. 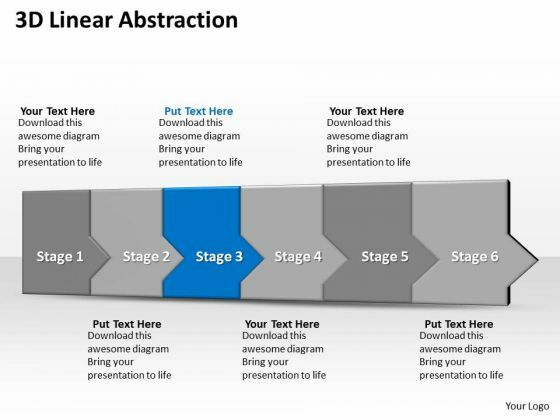 PPT 3d linear abstraction to prevent business powerpoint theme losses six steps Templates-This PowerPoint Diagram shows you Sequential way to prevent losses in Horizontal Line which signifies step by step Execution, inter-related approaches etc. It is shown using shades of green color.-PPT 3d linear abstraction to prevent business powerpoint theme losses six steps Templates-Asset, Bank, Banking, Business, Care, Careful, Cash, Commerce, Concept, Crime, Criminal, Currency, Defend, Deposit, Economic, Economy, , Finance, , Financial, Frugal, Future, Goal, Hold, Hope, Identity, Invest, Investment, Keep, Lock, Lockdown, Loss, Market, Money, Optimism, Opulence, Opulent, Planning, Possibility, Precious, Prevention, Profit, Prosperity, Protect, Protection, Reserve, Robbery, Safe, Safety, Save, Saving, Secure, Security, Shelter, Speculate, Tax Evoke compassion with our Ppt 3d Linear Abstraction To Prevent Business PowerPoint Theme Losses Six Steps Templates. They will want to believe in Father Christmas. Counsel them on the need for ethics. 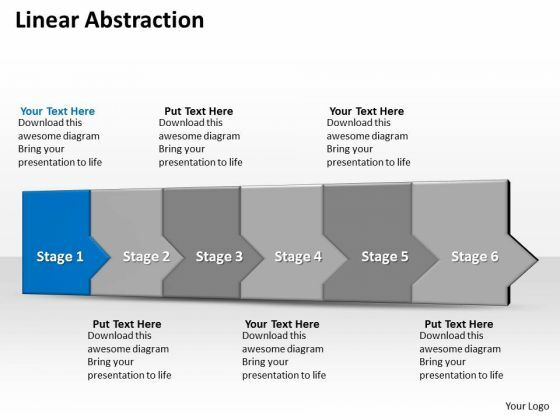 Our Ppt 3d Linear Abstraction To Prevent Business PowerPoint Theme Losses Six Steps Templates can be very convincing. PPT 3d consecutive demonstration to prevent banking losses seven steps stage 2 PowerPoint Templates-This PowerPoint Diagram is best to illustrate business processes, business project steps, business development steps, stages of the process, stages of the plan, etc-PPT 3d consecutive demonstration to prevent banking losses seven steps stage 2 PowerPoint Templates-Asset, Bank, Banking, Business, Care, Careful, Cash, Commerce, Concept, Crime, Criminal, Currency, Defend, Deposit, Economic, Economy, , Finance, , Financial, Frugal, Future, Goal, Hold, Hope, Identity, Invest, Investment, Keep, Lock, Lockdown, Loss, Market, Money, Optimism, Opulence, Opulent, Planning, Possibility, Precious, Prevention, Profit, Prosperity, Protect, Protection, Reserve, Robbery, Safe, Safety, Save, Saving, Secure, Security, Shelter, Speculate, Tax Plan for any extraneous factors with our Ppt 3d Consecutive Demonstration To Prevent Banking Losses Seven Steps Stage 2 PowerPoint Templates. Cater for them from all angles. Get success in a flash with our Ppt 3d Consecutive Demonstration To Prevent Banking Losses Seven Steps Stage 2 PowerPoint Templates. Try us out and see what a difference our templates make. PPT 3d consecutive demonstration to prevent banking losses seven steps stage 4 PowerPoint Templates-This PowerPoint Diagram is best to illustrate business processes, business project steps, business development steps, stages of the process, stages of the plan, etc-PPT 3d consecutive demonstration to prevent banking losses seven steps stage 4 PowerPoint Templates-Asset, Bank, Banking, Business, Care, Careful, Cash, Commerce, Concept, Crime, Criminal, Currency, Defend, Deposit, Economic, Economy, , Finance, , Financial, Frugal, Future, Goal, Hold, Hope, Identity, Invest, Investment, Keep, Lock, Lockdown, Loss, Market, Money, Optimism, Opulence, Opulent, Planning, Possibility, Precious, Prevention, Profit, Prosperity, Protect, Protection, Reserve, Robbery, Safe, Safety, Save, Saving, Secure, Security, Shelter, Speculate, Tax People everywhere are attracted to beauty. 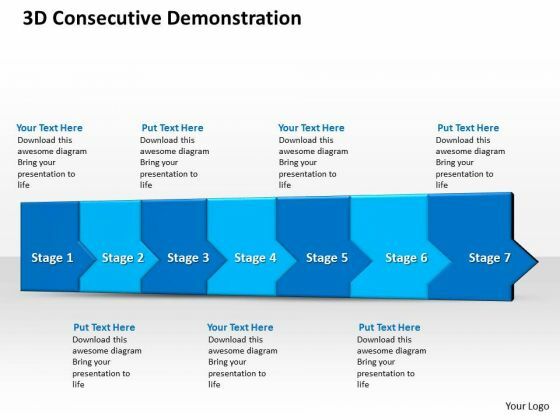 They will discover that our Ppt 3d Consecutive Demonstration To Prevent Banking Losses Seven Steps Stage 4 PowerPoint Templates are enticing. 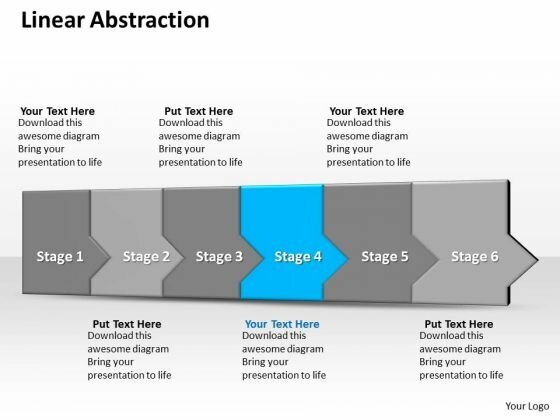 Dont create mammoth presentations. Be clear and succinct with our Ppt 3d Consecutive Demonstration To Prevent Banking Losses Seven Steps Stage 4 PowerPoint Templates. You'll always stay ahead of the game. PPT 3d consecutive demonstration to prevent banking losses seven steps stage 5 PowerPoint Templates-This PowerPoint Diagram is best to illustrate business processes, business project steps, business development steps, stages of the process, stages of the plan, etc-PPT 3d consecutive demonstration to prevent banking losses seven steps stage 5 PowerPoint Templates-Asset, Bank, Banking, Business, Care, Careful, Cash, Commerce, Concept, Crime, Criminal, Currency, Defend, Deposit, Economic, Economy, , Finance, , Financial, Frugal, Future, Goal, Hold, Hope, Identity, Invest, Investment, Keep, Lock, Lockdown, Loss, Market, Money, Optimism, Opulence, Opulent, Planning, Possibility, Precious, Prevention, Profit, Prosperity, Protect, Protection, Reserve, Robbery, Safe, Safety, Save, Saving, Secure, Security, Shelter, Speculate, Tax Earn a fortune with our Ppt 3d Consecutive Demonstration To Prevent Banking Losses Seven Steps Stage 5 PowerPoint Templates. Dont waste time struggling with PowerPoint. Let us do it for you. Exploit the talents of our Ppt 3d Consecutive Demonstration To Prevent Banking Losses Seven Steps Stage 5 PowerPoint Templates team. They will take up the challenge of your demands. PPT 3d consecutive demonstration to prevent banking losses seven steps stage 6 PowerPoint Templates-This PowerPoint Diagram is best to illustrate business processes, business project steps, business development steps, stages of the process, stages of the plan, etc-PPT 3d consecutive demonstration to prevent banking losses seven steps stage 6 PowerPoint Templates-Asset, Bank, Banking, Business, Care, Careful, Cash, Commerce, Concept, Crime, Criminal, Currency, Defend, Deposit, Economic, Economy, , Finance, , Financial, Frugal, Future, Goal, Hold, Hope, Identity, Invest, Investment, Keep, Lock, Lockdown, Loss, Market, Money, Optimism, Opulence, Opulent, Planning, Possibility, Precious, Prevention, Profit, Prosperity, Protect, Protection, Reserve, Robbery, Safe, Safety, Save, Saving, Secure, Security, Shelter, Speculate, Tax Cultivate the audience with our Ppt 3d Consecutive Demonstration To Prevent Banking Losses Seven Steps Stage 6 PowerPoint Templates. The bond between you will grow. 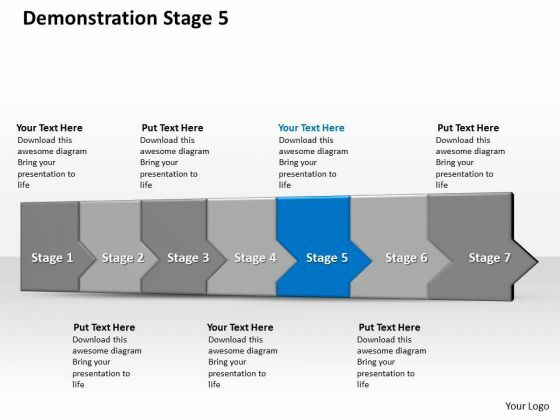 Present like a pro with our Ppt 3d Consecutive Demonstration To Prevent Banking Losses Seven Steps Stage 6 PowerPoint Templates. You will come out on top. PPT 3d consecutive demonstration to prevent banking losses seven steps stage 7 PowerPoint Templates-This PowerPoint Diagram is best to illustrate business processes, business project steps, business development steps, stages of the process, stages of the plan, etc-PPT 3d consecutive demonstration to prevent banking losses seven steps stage 7 PowerPoint Templates-Asset, Bank, Banking, Business, Care, Careful, Cash, Commerce, Concept, Crime, Criminal, Currency, Defend, Deposit, Economic, Economy, , Finance, , Financial, Frugal, Future, Goal, Hold, Hope, Identity, Invest, Investment, Keep, Lock, Lockdown, Loss, Market, Money, Optimism, Opulence, Opulent, Planning, Possibility, Precious, Prevention, Profit, Prosperity, Protect, Protection, Reserve, Robbery, Safe, Safety, Save, Saving, Secure, Security, Shelter, Speculate, Tax Book your place with our Ppt 3d Consecutive Demonstration To Prevent Banking Losses Seven Steps Stage 7 PowerPoint Templates. They will put you in the right spot. Success without failure is difficult to achieve. 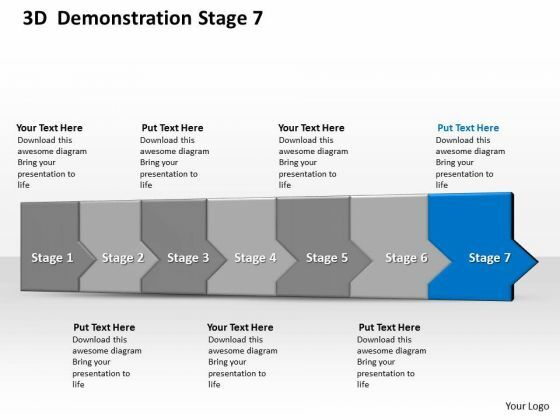 Our Ppt 3d Consecutive Demonstration To Prevent Banking Losses Seven Steps Stage 7 PowerPoint Templates help add to the chances. PPT 3d consecutive demonstration to prevent banking losses seven steps stage PowerPoint Templates-This PowerPoint Diagram is best to illustrate business processes, business project steps, business development steps, stages of the process, stages of the plan, etc-PPT 3d consecutive demonstration to prevent banking losses seven steps stage PowerPoint Templates-Asset, Bank, Banking, Business, Care, Careful, Cash, Commerce, Concept, Crime, Criminal, Currency, Defend, Deposit, Economic, Economy, , Finance, , Financial, Frugal, Future, Goal, Hold, Hope, Identity, Invest, Investment, Keep, Lock, Lockdown, Loss, Market, Money, Optimism, Opulence, Opulent, Planning, Possibility, Precious, Prevention, Profit, Prosperity, Protect, Protection, Reserve, Robbery, Safe, Safety, Save, Saving, Secure, Security, Shelter, Speculate, Tax Do not leave it all up to fate. Fashion your destiny with our Ppt 3d Consecutive Demonstration To Prevent Banking Losses Seven Steps Stage PowerPoint Templates. Deliver your ideas decisively with our Ppt 3d Consecutive Demonstration To Prevent Banking Losses Seven Steps Stage PowerPoint Templates. They help you look the audience in the eye. PPT 3d consecutive demonstration to prevent monetary losses seven steps stage 1 PowerPoint Templates-This PowerPoint Diagram is best to illustrate business processes, business project steps, business development steps, stages of the process, stages of the plan, etc-PPT 3d consecutive demonstration to prevent monetary losses seven steps stage 1 PowerPoint Templates-Asset, Bank, Banking, Business, Care, Careful, Cash, Commerce, Concept, Crime, Criminal, Currency, Defend, Deposit, Economic, Economy, , Finance, , Financial, Frugal, Future, Goal, Hold, Hope, Identity, Invest, Investment, Keep, Lock, Lockdown, Loss, Market, Money, Optimism, Opulence, Opulent, Planning, Possibility, Precious, Prevention, Profit, Prosperity, Protect, Protection, Reserve, Robbery, Safe, Safety, Save, Saving, Secure, Security, Shelter, Speculate, Tax Create believers with our Ppt 3d Consecutive Demonstration To Prevent Monetary Losses Seven Steps Stage 1 PowerPoint Templates. Boost up their assessment of you. An array of colors give our Ppt 3d Consecutive Demonstration To Prevent Monetary Losses Seven Steps Stage 1 PowerPoint Templates an alluring blend. They make your thoughts very enticing. PPT 3d horizontal illustration to avoid marketing losses eight steps PowerPoint Templates-This PowerPoint Diagram is best to illustrate business processes, business project steps, business development steps, stages of the process, stages of the plan, etc-PPT 3d horizontal illustration to avoid marketing losses eight steps PowerPoint Templates-Asset, Bank, Banking, Business, Care, Careful, Cash, Commerce, Concept, Crime, Criminal, Currency, Defend, Deposit, Economic, Economy, , Finance, , Financial, Frugal, Future, Goal, Hold, Hope, Identity, Invest, Investment, Keep, Lock, Lockdown, Loss, Market, Money, Optimism, Opulence, Opulent, Planning, Possibility, Precious, Prevention, Profit, Prosperity, Protect, Protection, Reserve, Robbery, Safe, Safety, Save, Saving, Secure, Security, Shelter, Speculate, Tax Finally find answers with our Ppt 3d Horizontal Illustration To Avoid Marketing Losses Eight Steps PowerPoint Templates. Your efforts will culminate in success. 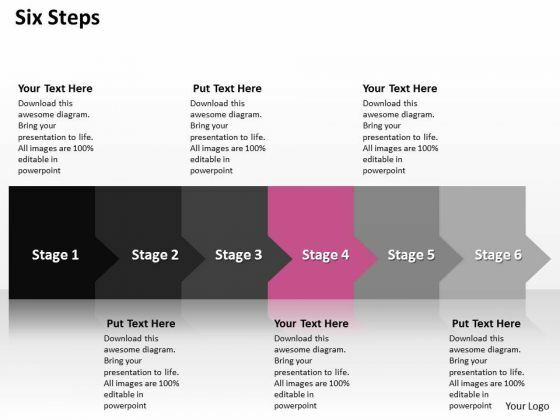 Start the climb with our Ppt 3d Horizontal Illustration To Avoid Marketing Losses Eight Steps PowerPoint Templates. Go the full distance with ease and elan. PPT 3d horizontal illustration to block marketing losses eight steps PowerPoint Templates-This PowerPoint Diagram is best to illustrate business processes, business project steps, business development steps, stages of the process, stages of the plan, etc-PPT 3d horizontal illustration to block marketing losses eight steps PowerPoint Templates-Asset, Bank, Banking, Business, Care, Careful, Cash, Commerce, Concept, Crime, Criminal, Currency, Defend, Deposit, Economic, Economy, , Finance, , Financial, Frugal, Future, Goal, Hold, Hope, Identity, Invest, Investment, Keep, Lock, Lockdown, Loss, Market, Money, Optimism, Opulence, Opulent, Planning, Possibility, Precious, Prevention, Profit, Prosperity, Protect, Protection, Reserve, Robbery, Safe, Safety, Save, Saving, Secure, Security, Shelter, Speculate, Tax Re-discover your presentation skills with our Ppt 3d Horizontal Illustration To Block Marketing Losses Eight Steps PowerPoint Templates. You'll deliver your best presentation yet. Our Ppt 3d Horizontal Illustration To Block Marketing Losses Eight Steps PowerPoint Templates will ensure you get your point across. You will be glad you tried us out. PPT 3d horizontal illustration to prevent business losses eight steps PowerPoint Templates-This PowerPoint Diagram is best to illustrate business processes, business project steps, business development steps, stages of the process, stages of the plan, etc-PPT 3d horizontal illustration to prevent business losses eight steps PowerPoint Templates-Asset, Bank, Banking, Business, Care, Careful, Cash, Commerce, Concept, Crime, Criminal, Currency, Defend, Deposit, Economic, Economy, , Finance, , Financial, Frugal, Future, Goal, Hold, Hope, Identity, Invest, Investment, Keep, Lock, Lockdown, Loss, Market, Money, Optimism, Opulence, Opulent, Planning, Possibility, Precious, Prevention, Profit, Prosperity, Protect, Protection, Reserve, Robbery, Safe, Safety, Save, Saving, Secure, Security, Shelter, Speculate, Tax Expound your logic on our Ppt 3d Horizontal Illustration To Prevent Business Losses Eight Steps PowerPoint Templates. Let them in on your chain of thought. Facing upto difficulties is an essential element. Bolster everyone's courage with our Ppt 3d Horizontal Illustration To Prevent Business Losses Eight Steps PowerPoint Templates. PPT 3d horizontal illustration to prevent finanncial losses eight steps PowerPoint Templates-This PowerPoint Diagram is best to illustrate business processes, business project steps, business development steps, stages of the process, stages of the plan, etc-PPT 3d horizontal illustration to prevent finanncial losses eight steps PowerPoint Templates-Asset, Bank, Banking, Business, Care, Careful, Cash, Commerce, Concept, Crime, Criminal, Currency, Defend, Deposit, Economic, Economy, , Finance, , Financial, Frugal, Future, Goal, Hold, Hope, Identity, Invest, Investment, Keep, Lock, Lockdown, Loss, Market, Money, Optimism, Opulence, Opulent, Planning, Possibility, Precious, Prevention, Profit, Prosperity, Protect, Protection, Reserve, Robbery, Safe, Safety, Save, Saving, Secure, Security, Shelter, Speculate, Tax Every audience enjoys familiar environments. Our Ppt 3d Horizontal Illustration To Prevent Finanncial Losses Eight Steps PowerPoint Templates bring out a sense of deja vu. Serve your feast of ideas on our Ppt 3d Horizontal Illustration To Prevent Finanncial Losses Eight Steps PowerPoint Templates. The audience will find them delectable. PPT 3d horizontal illustration to prevent monetary losses eight steps PowerPoint Templates-This PowerPoint Diagram is best to illustrate business processes, business project steps, business development steps, stages of the process, stages of the plan, etc-PPT 3d horizontal illustration to prevent monetary losses eight steps PowerPoint Templates-Asset, Bank, Banking, Business, Care, Careful, Cash, Commerce, Concept, Crime, Criminal, Currency, Defend, Deposit, Economic, Economy, , Finance, , Financial, Frugal, Future, Goal, Hold, Hope, Identity, Invest, Investment, Keep, Lock, Lockdown, Loss, Market, Money, Optimism, Opulence, Opulent, Planning, Possibility, Precious, Prevention, Profit, Prosperity, Protect, Protection, Reserve, Robbery, Safe, Safety, Save, Saving, Secure, Security, Shelter, Speculate, Tax Drive your organization with our Ppt 3d Horizontal Illustration To Prevent Monetary Losses Eight Steps PowerPoint Templates. Download without worries with our money back guaranteee. Be a peacemaker with our Ppt 3d Horizontal Illustration To Prevent Monetary Losses Eight Steps PowerPoint Templates. You will come out on top. PPT 3d horizontal illustration to restrain marketing losses eight steps PowerPoint Templates-This PowerPoint Diagram is best to illustrate business processes, business project steps, business development steps, stages of the process, stages of the plan, etc-PPT 3d horizontal illustration to restrain marketing losses eight steps PowerPoint Templates-Asset, Bank, Banking, Business, Care, Careful, Cash, Commerce, Concept, Crime, Criminal, Currency, Defend, Deposit, Economic, Economy, , Finance, , Financial, Frugal, Future, Goal, Hold, Hope, Identity, Invest, Investment, Keep, Lock, Lockdown, Loss, Market, Money, Optimism, Opulence, Opulent, Planning, Possibility, Precious, Prevention, Profit, Prosperity, Protect, Protection, Reserve, Robbery, Safe, Safety, Save, Saving, Secure, Security, Shelter, Speculate, Tax Make it crystal clear with our Ppt 3d Horizontal Illustration To Restrain Marketing Losses Eight Steps PowerPoint Templates. Confusion will never enter the door. Head in the right direction with our Ppt 3d Horizontal Illustration To Restrain Marketing Losses Eight Steps PowerPoint Templates. Try us out and see what a difference our templates make. PPT 3d horizontal illustration to shut off marketing losses eight steps PowerPoint Templates-This PowerPoint Diagram is best to illustrate business processes, business project steps, business development steps, stages of the process, stages of the plan, etc-PPT 3d horizontal illustration to shut off marketing losses eight steps PowerPoint Templates-Asset, Bank, Banking, Business, Care, Careful, Cash, Commerce, Concept, Crime, Criminal, Currency, Defend, Deposit, Economic, Economy, , Finance, , Financial, Frugal, Future, Goal, Hold, Hope, Identity, Invest, Investment, Keep, Lock, Lockdown, Loss, Market, Money, Optimism, Opulence, Opulent, Planning, Possibility, Precious, Prevention, Profit, Prosperity, Protect, Protection, Reserve, Robbery, Safe, Safety, Save, Saving, Secure, Security, Shelter, Speculate, Tax Get down to business fast. 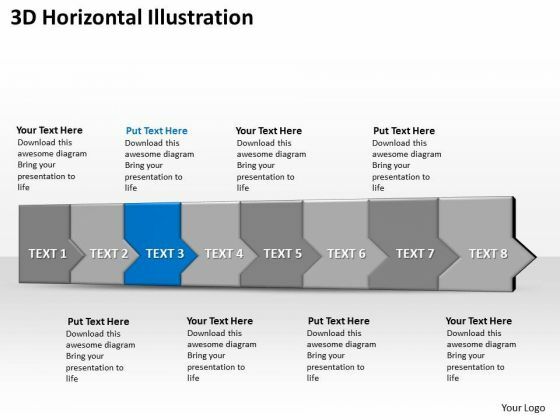 Put down the accelerator with our Ppt 3d Horizontal Illustration To Shut Off Marketing Losses Eight Steps PowerPoint Templates. Our environment needs our care. Convey your concern with our Ppt 3d Horizontal Illustration To Shut Off Marketing Losses Eight Steps PowerPoint Templates. PPT 3d linear abstraction to cut off business losses six steps PowerPoint Templates-This diagram usually denotes Timeline process depicted as Linear arrows will be perfect for presentations on schedules, deadlines, milestones, annual reports, year planning, benchmarking, etc.-PPT 3d linear abstraction to cut off business losses six steps PowerPoint Templates-Asset, Bank, Banking, Business, Care, Careful, Cash, Commerce, Concept, Crime, Criminal, Currency, Defend, Deposit, Economic, Economy, , Finance, , Financial, Frugal, Future, Goal, Hold, Hope, Identity, Invest, Investment, Keep, Lock, Lockdown, Loss, Market, Money, Optimism, Opulence, Opulent, Planning, Possibility, Precious, Prevention, Profit, Prosperity, Protect, Protection, Reserve, Robbery, Safe, Safety, Save, Saving, Secure, Security, Shelter, Speculate, Tax Evoke dormant ambitions with our Ppt 3d Linear Abstraction To Cut Off Business Losses Six Steps PowerPoint Templates. Encourage desires to develop anew. Our Ppt 3d Linear Abstraction To Cut Off Business Losses Six Steps PowerPoint Templates team keep their eyes open. Always digging out new designs for you. PPT 3d linear abstraction to end business losses six create powerpoint macro Templates-This diagram usually denotes Timeline process depicted as Linear arrows will be perfect for presentations on schedules, deadlines, milestones, annual reports, year planning, benchmarking, etc.-PPT 3d linear abstraction to end business losses six create powerpoint macro Templates-Asset, Bank, Banking, Business, Care, Careful, Cash, Commerce, Concept, Crime, Criminal, Currency, Defend, Deposit, Economic, Economy, , Finance, , Financial, Frugal, Future, Goal, Hold, Hope, Identity, Invest, Investment, Keep, Lock, Lockdown, Loss, Market, Money, Optimism, Opulence, Opulent, Planning, Possibility, Precious, Prevention, Profit, Prosperity, Protect, Protection, Reserve, Robbery, Safe, Safety, Save, Saving, Secure, Security, Shelter, Speculate, Tax You are destined for fame. Our Ppt 3d Linear Abstraction To End Business Losses Six Create PowerPoint Macro Templates ensure acclaim for your ideas. 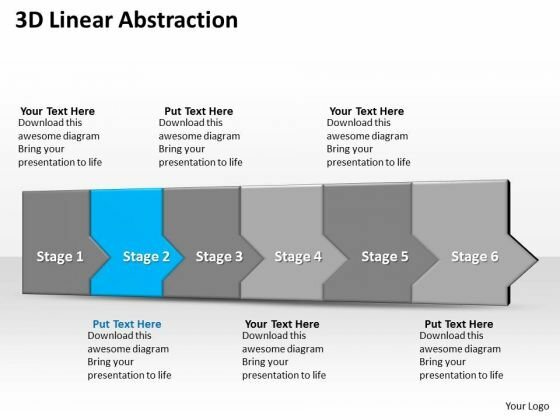 Put each element in the right place, Get the equation perfect with our Ppt 3d Linear Abstraction To End Business Losses Six Create PowerPoint Macro Templates. PPT 3d linear abstraction to prevent financial losses six steps PowerPoint Templates-This diagram usually denotes Timeline process depicted as Linear arrows will be perfect for presentations on schedules, deadlines, milestones, annual reports, year planning, benchmarking, etc.-PPT 3d linear abstraction to prevent financial losses six steps PowerPoint Templates-Asset, Bank, Banking, Business, Care, Careful, Cash, Commerce, Concept, Crime, Criminal, Currency, Defend, Deposit, Economic, Economy, , Finance, , Financial, Frugal, Future, Goal, Hold, Hope, Identity, Invest, Investment, Keep, Lock, Lockdown, Loss, Market, Money, Optimism, Opulence, Opulent, Planning, Possibility, Precious, Prevention, Profit, Prosperity, Protect, Protection, Reserve, Robbery, Safe, Safety, Save, Saving, Secure, Security, Shelter, Speculate, Tax Encourage ambition with our Ppt 3d Linear Abstraction To Prevent Financial Losses Six Steps PowerPoint Templates. Drive them to achieve their aim. Explore all avenues with our Ppt 3d Linear Abstraction To Prevent Financial Losses Six Steps PowerPoint Templates. They really do cover the compass. PPT 3d linear abstraction to prevent monetray losses six steps PowerPoint Templates-This diagram usually denotes Timeline process depicted as Linear arrows will be perfect for presentations on schedules, deadlines, milestones, annual reports, year planning, benchmarking, etc.-PPT 3d linear abstraction to prevent monetray losses six steps PowerPoint Templates-Asset, Bank, Banking, Business, Care, Careful, Cash, Commerce, Concept, Crime, Criminal, Currency, Defend, Deposit, Economic, Economy, , Finance, , Financial, Frugal, Future, Goal, Hold, Hope, Identity, Invest, Investment, Keep, Lock, Lockdown, Loss, Market, Money, Optimism, Opulence, Opulent, Planning, Possibility, Precious, Prevention, Profit, Prosperity, Protect, Protection, Reserve, Robbery, Safe, Safety, Save, Saving, Secure, Security, Shelter, Speculate, Tax Our Ppt 3d Linear Abstraction To Prevent Monetray Losses Six Steps PowerPoint Templates are fertile ground. They encourage your thoughts to grow. 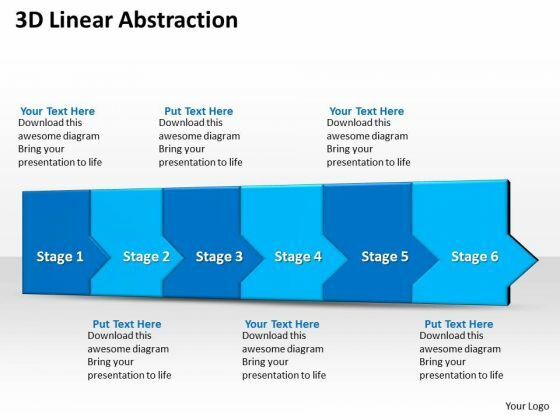 Set a good example with our Ppt 3d Linear Abstraction To Prevent Monetray Losses Six Steps PowerPoint Templates. Be the benchmark for others to follow. PPT 3d linear abstraction to prohibit business losses six steps PowerPoint Templates-This diagram usually denotes Timeline process depicted as Linear arrows will be perfect for presentations on schedules, deadlines, milestones, annual reports, year planning, benchmarking, etc.-PPT 3d linear abstraction to prohibit business losses six steps PowerPoint Templates-Asset, Bank, Banking, Business, Care, Careful, Cash, Commerce, Concept, Crime, Criminal, Currency, Defend, Deposit, Economic, Economy, , Finance, , Financial, Frugal, Future, Goal, Hold, Hope, Identity, Invest, Investment, Keep, Lock, Lockdown, Loss, Market, Money, Optimism, Opulence, Opulent, Planning, Possibility, Precious, Prevention, Profit, Prosperity, Protect, Protection, Reserve, Robbery, Safe, Safety, Save, Saving, Secure, Security, Shelter, Speculate, Tax With our Ppt 3d Linear Abstraction To Prohibit Business Losses Six Steps PowerPoint Templates the entertainment never ends. Things just keep getting better and better. Our Ppt 3d Linear Abstraction To Prohibit Business Losses Six Steps PowerPoint Templates have an eclectic outlook. They are conducive to all customs.